Titan Arum man is coming along well. 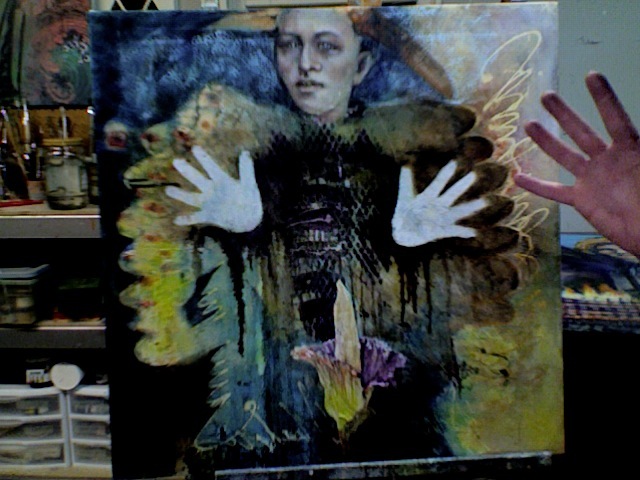 He should be done in time for the show, which needs to be hung in – gads – a little more than two weeks. The slightly larger painting that I have high hopes for is still giving me fits. Don’t know if it will be done in time. This entry was posted in abstract, art, art issues, contemporary art, Denver, drawing, fine art, Inspiration, new art, painting and tagged animus, botany, chet, general craziness, I am not incapable of being dickish, music, the shepherd, titan arum. Bookmark the permalink.